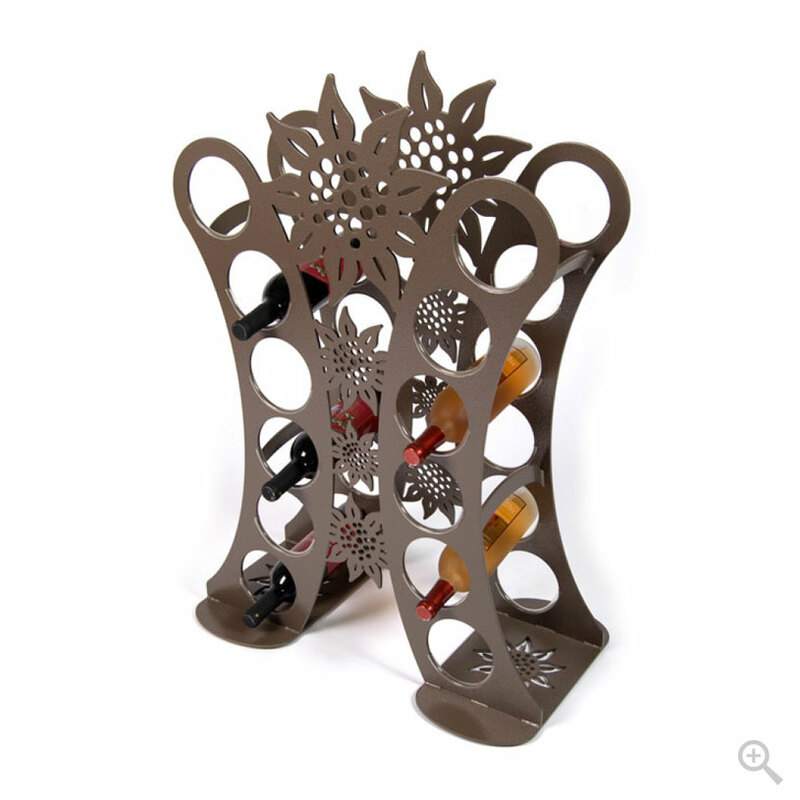 The Sunflower is a perfect floor display wine rack solution. 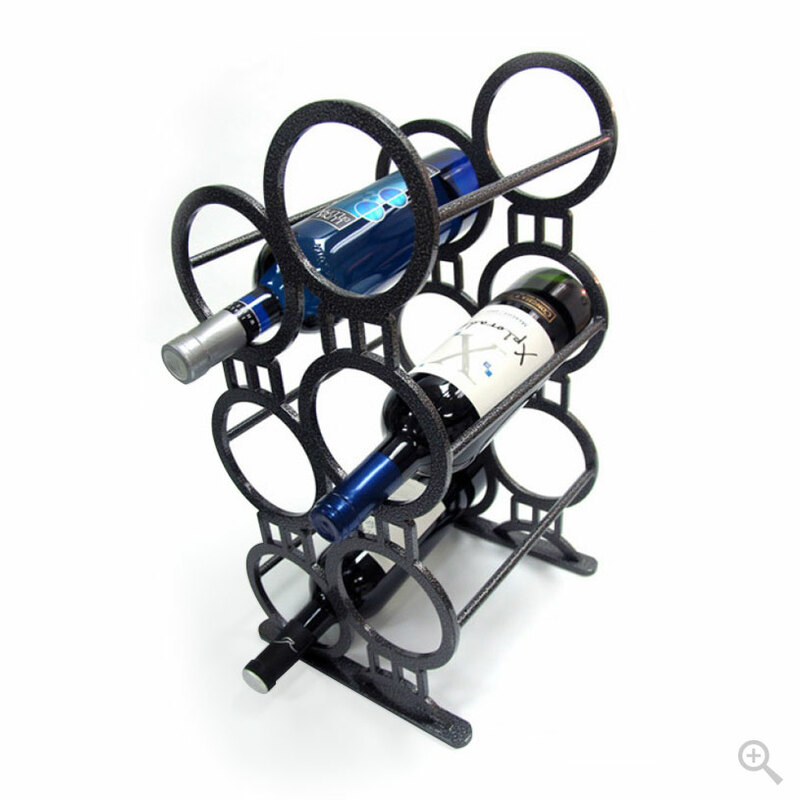 The rack is fabricated of 1/4″ steel and powder coated in a gold hammertone finish. 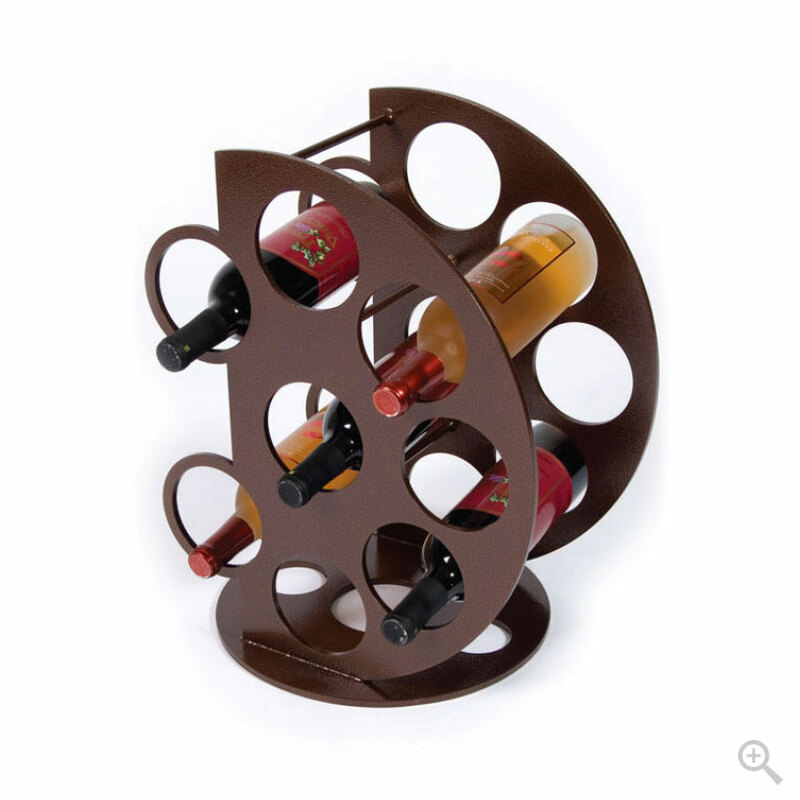 Holds twelve bottles.